Having a trampoline in the garden is an excellent way to keep the kids active and busy during the holidays and weekends of school. In modern times it can be hard to get your child away from the television, Xbox, tablet and all the other gadgets that children seem to own these days. One of the few remaining activities from my childhood that can still provide hours of fun for todays hard to impress children, is a trampoline. Trampolines are a great way for the whole family to have fun while spending time together. If you are looking to buy a trampoline for the first time or maybe you are looking to upgrade your current model, then our buyers guide to choosing one of the best trampolines Australia has to offer contains all the information you need. In our buyers guide we will be sharing all the important information you need to know for when buying the best trampoline for your needs and budget. 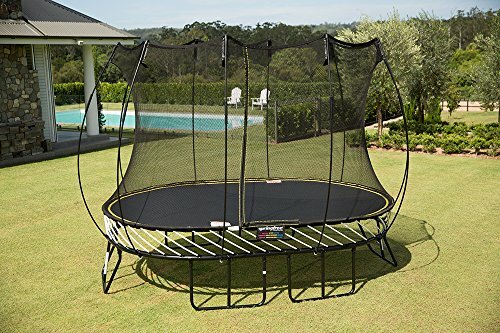 Furthermore our trampoline reviews features some of the most popular models in Australia from the most reputable trampoline brands. Before buying a trampoline there are quite a few things to consider first, especially if you are to get the best one for both your needs and budget. The following information will make deciding which is the best model for your needs and budget an easier decision. 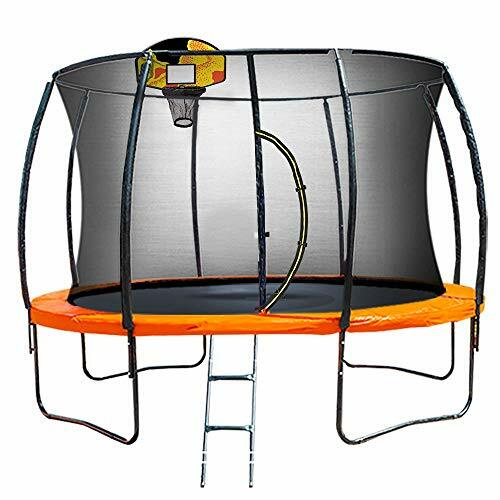 There are quite a few different types of trampolines that can be bought. The difference mainly lies in their shape and whether or not they are springless. 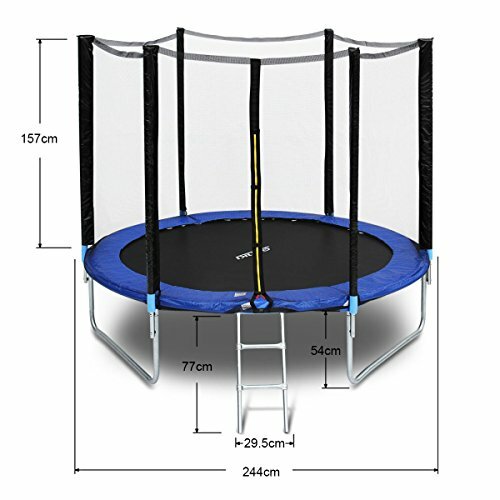 In this section of our buyers guide we will take a look at all the different types of trampolines. Round Trampolines – Round trampolines are the most popular shape of trampoline and they can be found in backyards all over Australia. When it comes to the best and safest trampolines, round models are the best choice. Due to the shape of a round trampoline they naturally direct the user towards the centre. This is obviously the safest place on a trampoline as most injuries occur near the edges. 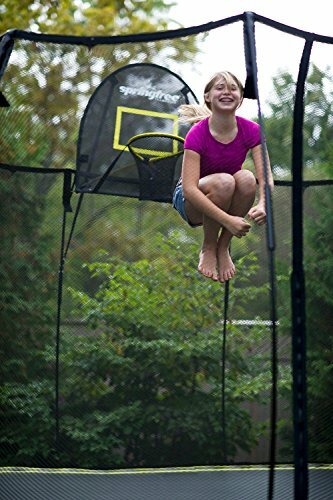 Square Trampolines – are known to provide a very good bouncing action this is mainly due to the spring placement. One of the main reasons people choose a square trampoline is because of how space efficient they are. 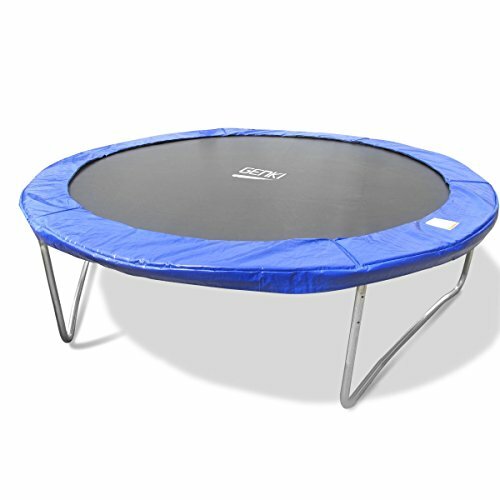 Rectangular Trampolines – This type of trampoline is a favourite among gymnasts to practice with due to the high bounce it offers. After round trampolines rectangular trampolines are the second most popular. Generally speaking they tend to be more expensive than their round counterparts. 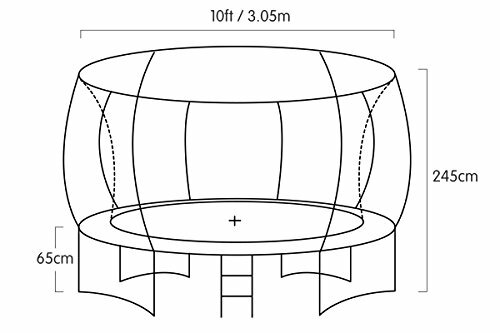 Oval Trampolines – If you decide to invest in an oval trampoline be sure to make sure you have enough room. This type of trampoline is among the biggest that you can buy. Consequently they are perfect for multiple users. In-Ground Trampolines – In ground trampolines can come in any of the shapes we have mentioned above. 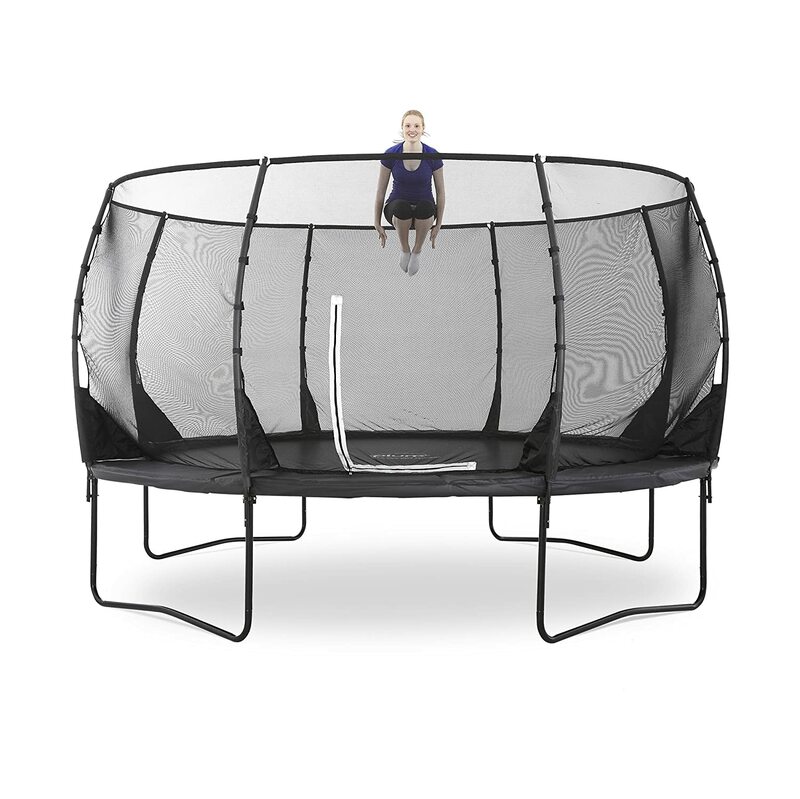 The main difference between an in ground trampoline and any of the others that are available is that they are at ground level. The size is an important factor to think about before you buy a trampoline. The first thing to consider is how much free space do you actually have for a trampoline in your garden. Trampolines come in a wide variety of sizes ranging from as small as 6ft all the way up to 20ft. The 10ft trampolines tend to be the most popular as they are large enough to have plenty of jumping space at the same time as not been so large that they take up a large percentage of your garden or backyard. A large percentage of accidents involving trampolines are down to the springs. Even though they are covered with a safety mat it is still possible to be injured by them. The most common injuries are getting nipped by the springs, if this has happened to you before then you will know how much it can hurt. Consequently springless or springfree trampolines are the safest option. It is worth mentioning that they are considerably more expensive. The maximum user weight is a good indicator of how well-built a trampoline is. When buying you will notice differences between models and this is something you should be taking a look at in the product description. The most important purchasing consideration is safety related. 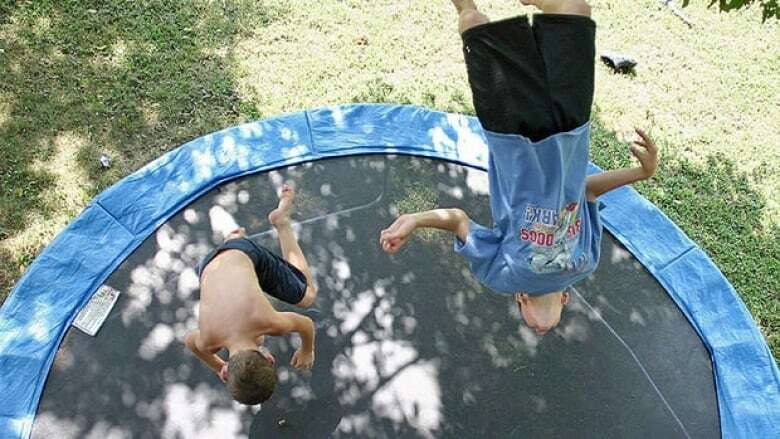 Trampolines are the cause of numerous accidents every year and some of them can be quite nasty. There are quite a few safety features to look out for when buying. Knowing what to look for will make it far less likely that your child sustains an injury. Safety Mat – the safety mat helps to reduce injuries by preventing contact with the springs. Most safety mats are thickly padded and both water and UV resistant. 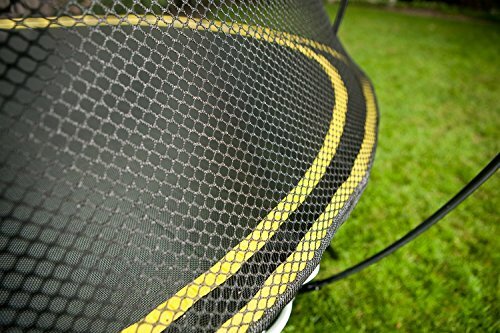 If you decide to buy a springless trampoline you will notice that there is no safety mat required. 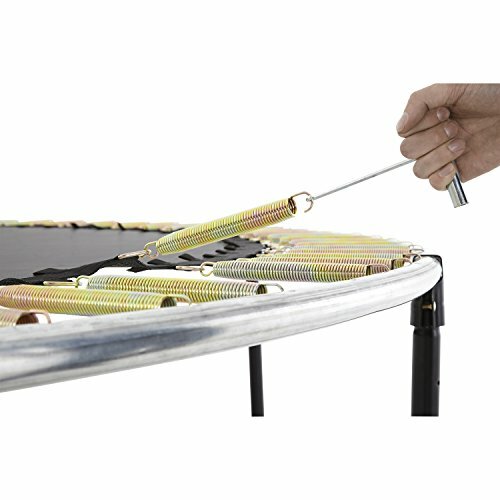 Support Poles – the supporting poles on a trampoline can be either internal or external. When buying it is recommended that you go with external supporting poles as they provide more room to jump safely and you are less likely to come into contact with them. If you are wondering if brands are important when buying a trampoline the short answer is yes. There are a large number of trampoline brands to choose from, however, not all of them are good. When buying you may notice trampolines that look exactly the same, but are under different brand names. 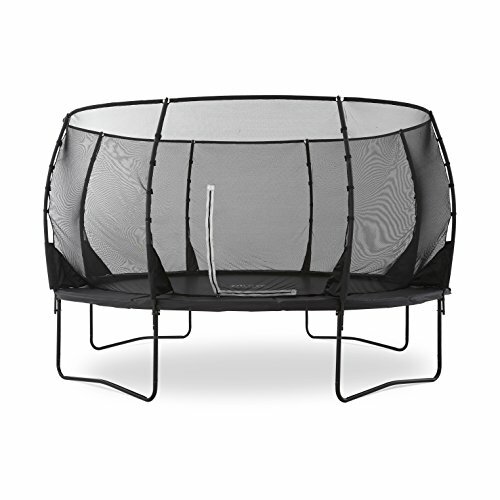 Generally speaking these trampolines all come from china and are sold under some vague trampoline related name like jumpbounce or something similar. I would avoid these brands as their trampolines are usually made from low quality materials that aren’t built to last. 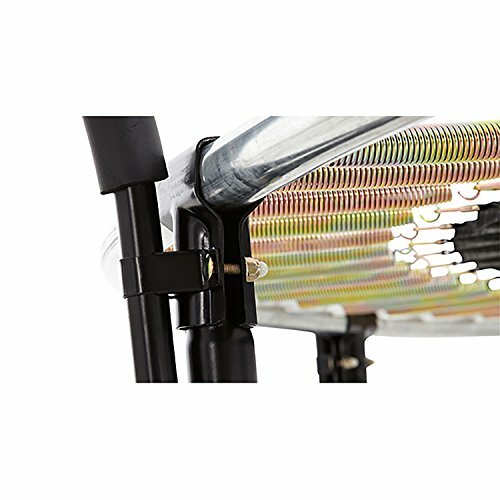 The best trampoline brands have built up a reputation over the years and are well-established with many different models to choose from. These include brands like Springfree, Plum Play and Lifespan trampolines. If you are going to invest in a trampoline I would recommend one of these brands as their models have excellent customer feedback and reviews. In addition they are all geared towards maximum safety which can’t be said of some of the lesser known brands. Now that you are prepared with all the information you need to know before buying the best rated trampoline Australia has to offer, its time to take a look at some of the best trampolines in Australia in our trampoline reviews. Springfree are a brand that produce some of the very best trampolines on the market. With a solid reputation for quality and sturdiness their trampolines come highly recommended. The Springfree Medium Oval Trampoline is one of their most popular models, which is hardly surprising as it has some very good features that you won’t find with other trampolines. To start off the Springfree is the world’s first smart trampoline as it has the ability to be turned into an outdoor digitally interactive play system. 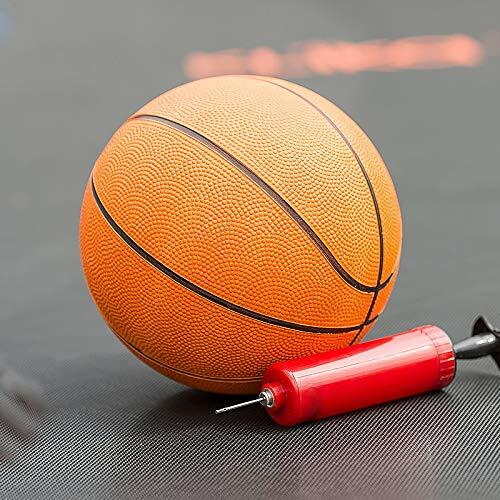 This allows children and adults to play a number of games adding hours of entertainment to an already fun activity. Unfortunately the game system has to be bought separately which is an added expense. In terms of design the Springfree trampoline is as sturdy as they come and with a maximum weight capacity of 500Kg it has been very well-built. 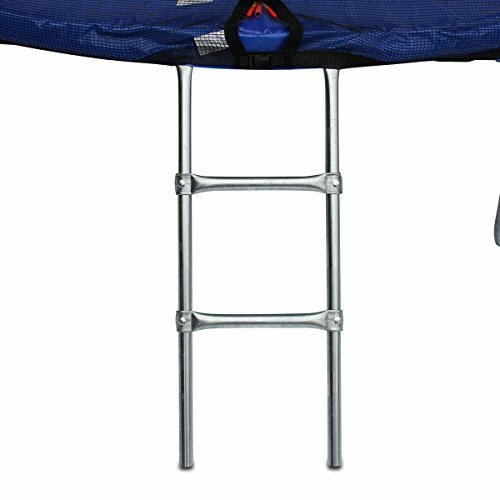 With dimensions of 8ft x 11ft it is a good size trampoline suitable for multiple users. Due to it not actually having any springs it is also very safe. In addition the supporting poles are on the outside making it less likely that someone will get hurt. Furthermore the support poles are made of fibre glass instead of metal, which again reduces any chance of sustaining an injury. Another positive is the fact this trampoline has been designed for all year round use. With double powder coated steel frames and UV resistant nets and mats it will stand up to the test of time. If you are looking to buy the very best trampoline then look no further. This is a top of the range model that will provide hours of fun and last for a long time. Add a tgoma accessory game system (sold separately) and turn your Springfree into the ultimate outdoor digitally interactive play system. Plum are another very well-respected trampoline brand with a very good reputation. The Plum 14ft Premium Magnitude Trampoline is regarded as one of the best kids trampolines in Australia. The Plum brand pride themselves on safety and their trampolines go above and beyond the requirements set for trampoline safety standards. Made from galvanised steel and with a maximum user weight of 125Kg the Plum Premium Magnitude is another very well-built and sturdy trampoline. Like all the best models the supporting poles are on the outside. In addition they are covered with thick EVA foam padding for protection. 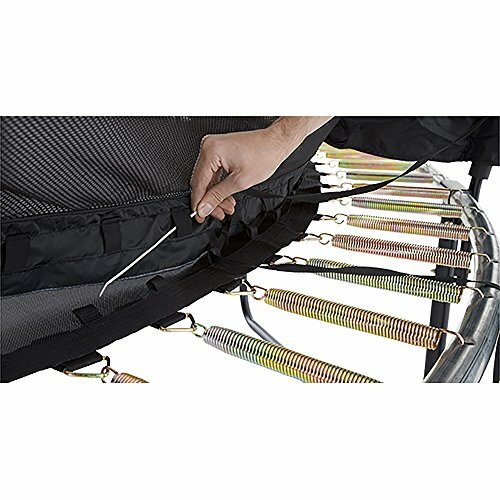 One feature we particularly like is the patented enclosure which connects to the inside of the jumping mat. 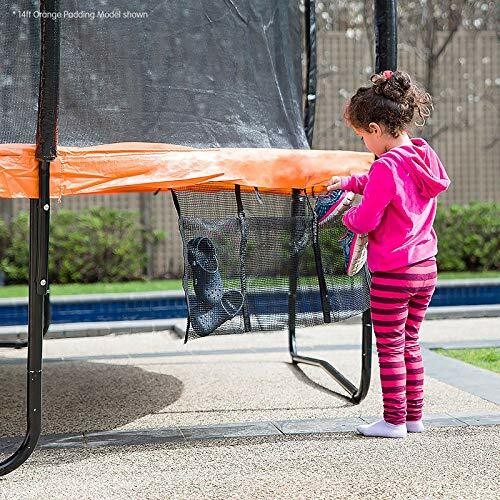 This creates a Springsafe barrier ensuring that little ones who do go off track, land on the soft mesh netting rather than the springs or frame. 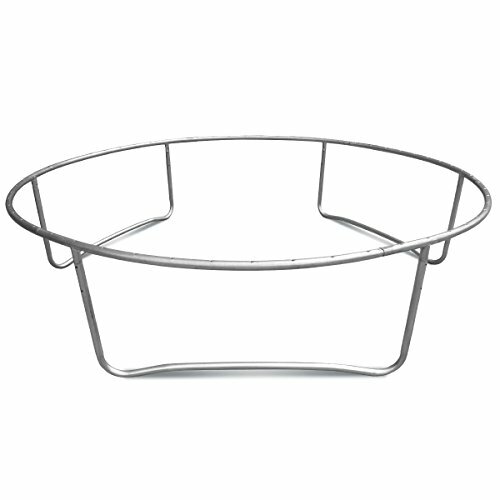 Another positive feature is the fish bowl design which ensures maximum bouncing space. A top contender for one of the best quality trampolines Australia has to offer the Plum Magnitude is well worth taking a closer look at. Kahuna haven’t been around as long as the first two brands in our reviews, however, they have become very popular in recent years. Offering a good mix of quality and affordability they are a good option for those not looking to spend too much. 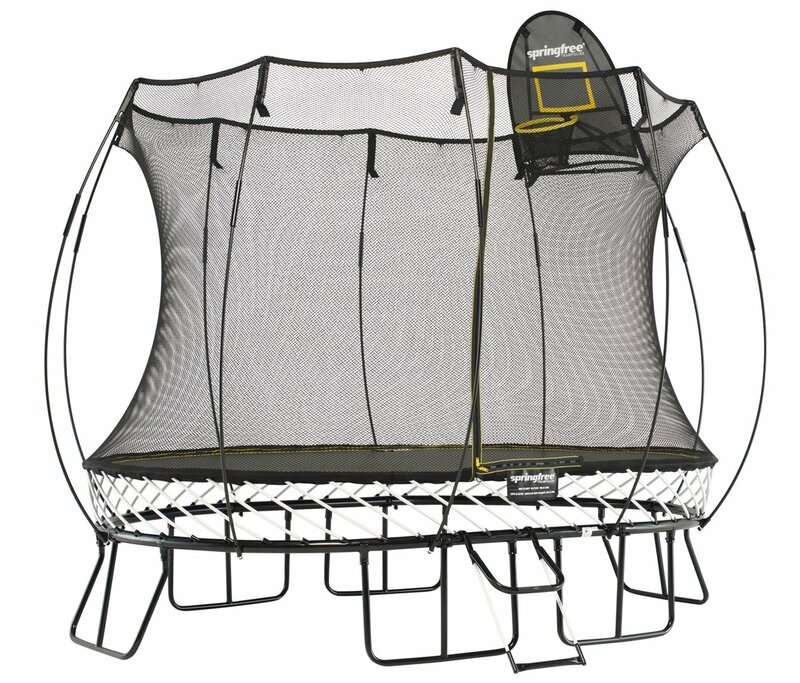 The Kahuna 10ft Trampoline is designed to keep the children entertained for hours. 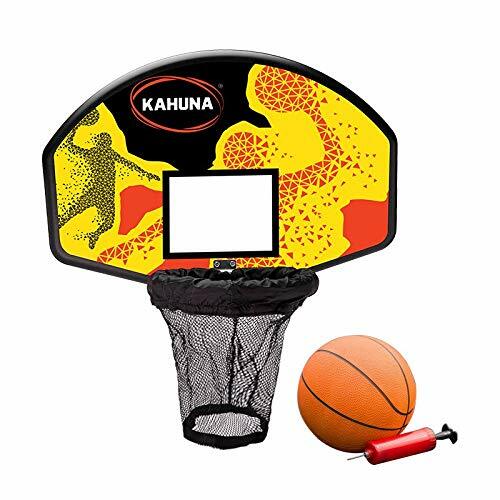 In addition to the fun that can be had bouncing around, it also comes with a basketball net for added fun. 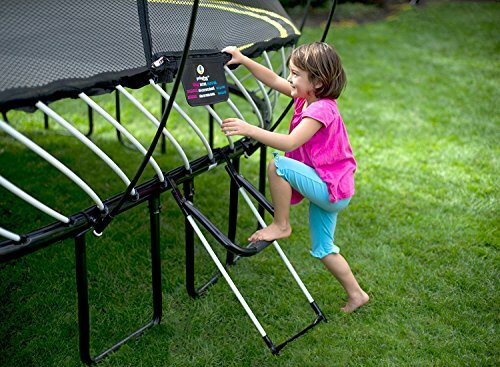 The springs are designed to provide as much tension as possible and customer reviews do mention that Kahuna trampolines are very bouncy. 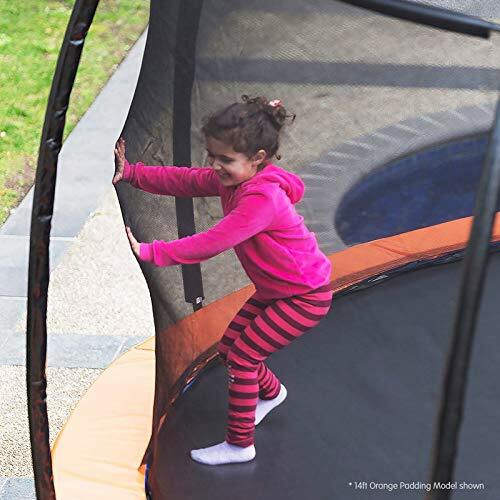 Featuring an inner safety net around the mat, separating the jumping area from the padded springs, this trampoline gives children the ultimate in safety protection. 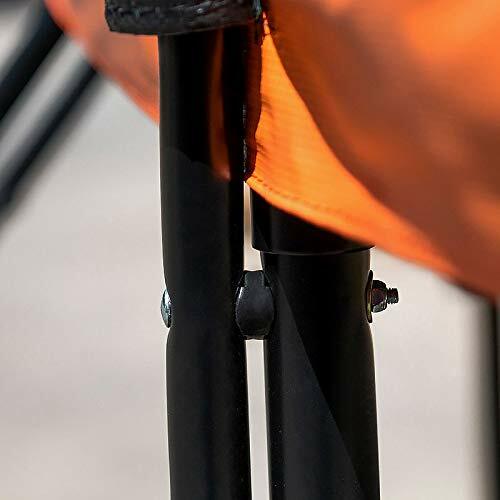 Another positive safety feature is the bent design of the supporting poles. These make it less likely that someone will sustain an injury by jumping into them. 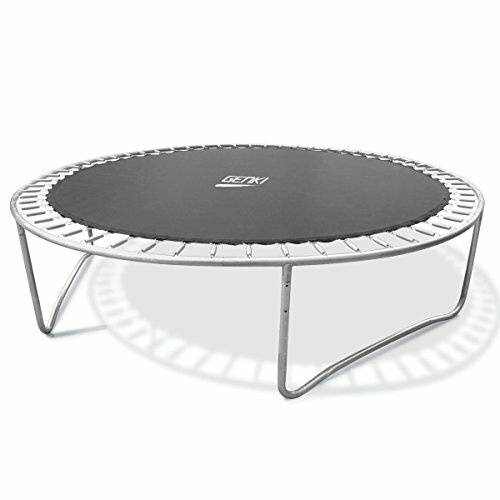 With a maximum user weight of 150Kg this is without doubt a sturdy trampoline that is suitable for family use. If its value for money you are looking for it doesn’t get much better than this when buying a trampoline. Genki make a wide range of fitness equipment and exercise machines and their trampolines are considered to be some of the best value trampolines Australia has to offer. The Genki 8ft trampoline is one of their best-selling models. Due to it not been overly large, it is ideal for those with smaller gardens. With very good reviews from previous buyers it seems to be one of the best trampolines to buy in Australia. It is both UV and water-resistant as well as featuring edges that are reinforced with 8 rows of stitching. 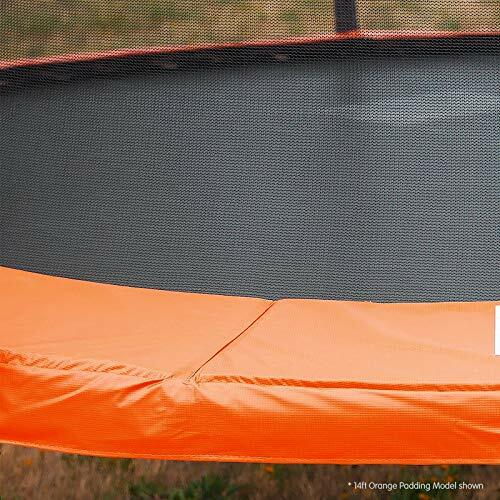 These attributes add to its overall durability ensuring this trampoline has a long lifespan. With a very respectable maximum user weight of 150Kg and a reportedly high-bounce it is well-suited for child and adult use. It has all the features that you expect a solid and sturdy model to have including welded T-shaped connectors which increase overall stability. 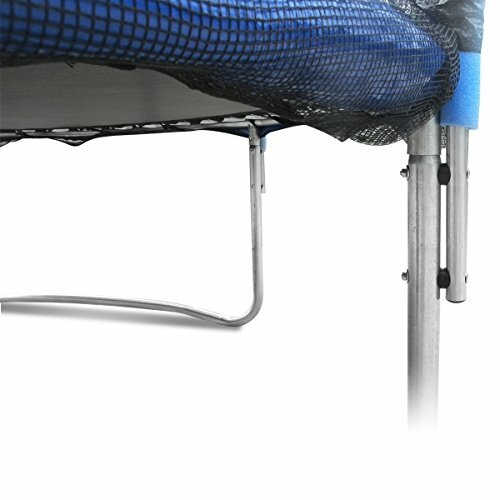 In terms of safety it comes with an enclosure net with foam padded support poles and all springs and rods are covered for maximum safety. 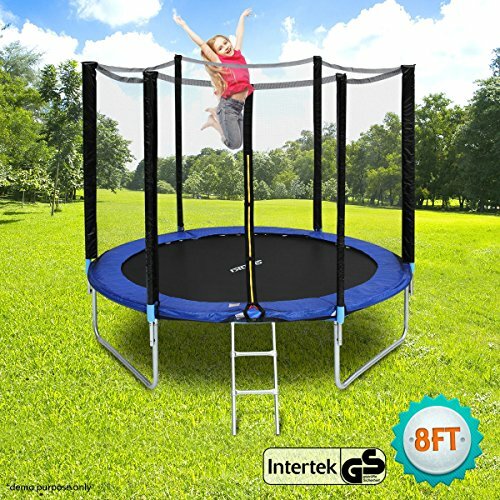 For a very good price the Genki 8ft trampoline has a lot to offer. 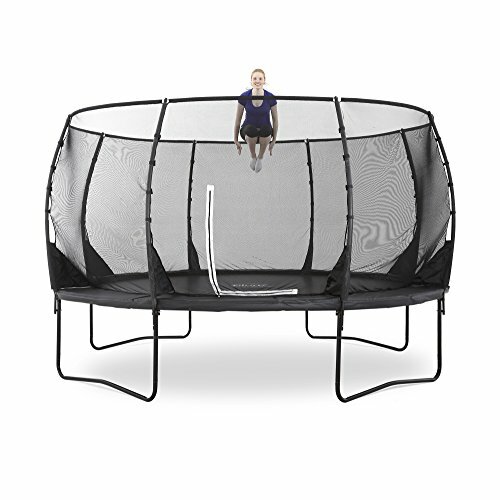 If you are looking to buy a cheap trampoline there aren’t many better than this. 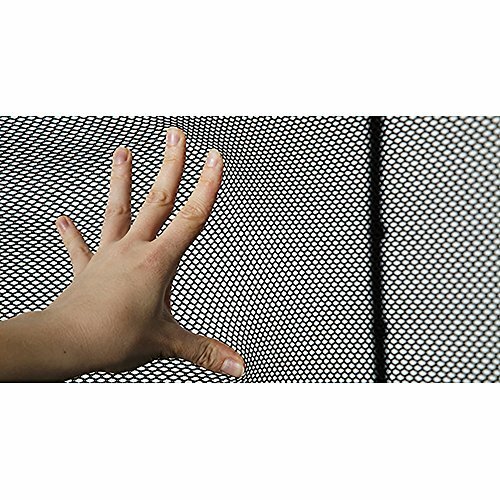 UV-Resistant PP - which is waterproof and resistant.The edges are reinforced with 8 rows of stitching to make it solid and durable to use and has a longer lifespan. It can accommodate body weight up to 150KG. 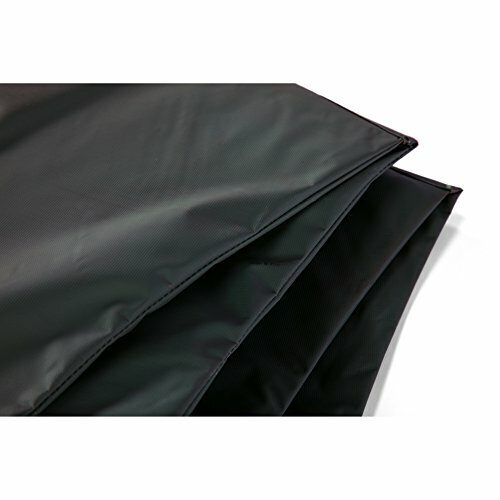 PVC Cover - the edge cover is made of PVC, making it waterproof and UV-resistant. 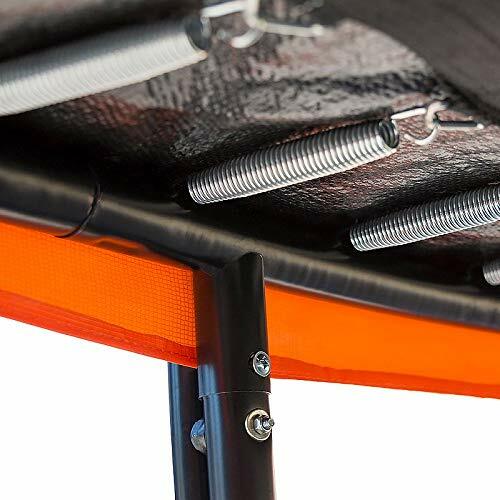 With 12 mm thick EPE foam padding, both springs and rods are completely covered to ensure maximun safety when jumping. 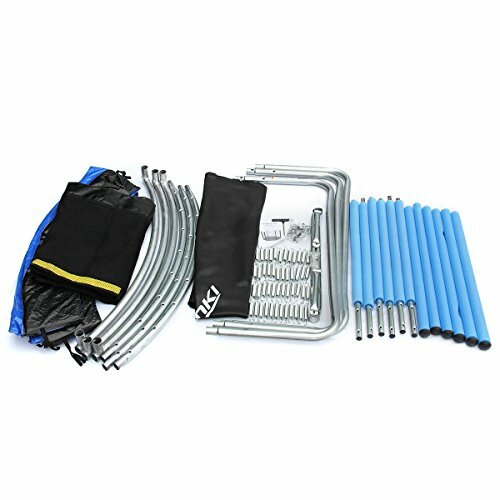 Safety - The circular tube and supporting legs are connected by reinforced and welded T-shaped connectors, which increases the stability of the frame; safety rails and legs are fixed by eyebolts and long screws; and safety rails are wrapped with EPE foam. It is certificated by GS standard, it would be safe and reliable for children. Plum are among the top 3 trampoline brands in Australia and they have a wide range of top quality trampolines to choose from. 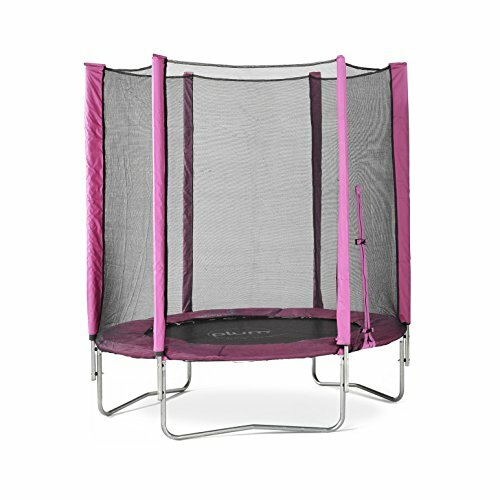 The Plum 6ft Junior Trampoline comes recommended as one of the best kids trampolines Australia has to offer. 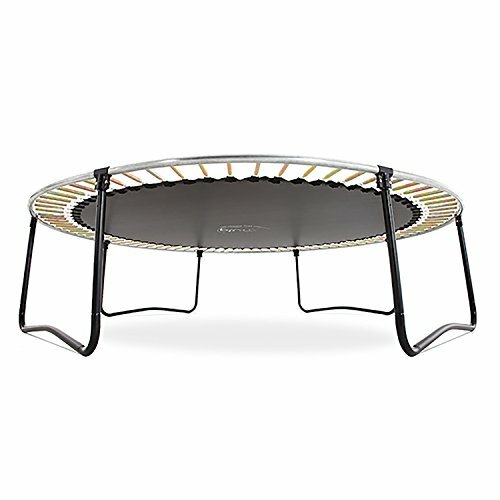 If you are looking to buy a first trampoline for your child then I would seriously consider this one. Suitable for 3 year olds and upwards it comes with a lowered frame for easy access and safety. The springs are covered with a thick safety mat that does a very good job of keeping the springs out of harms way. The safety enclosure is securely fixed and the support poles are external which is safer than internal support poles. 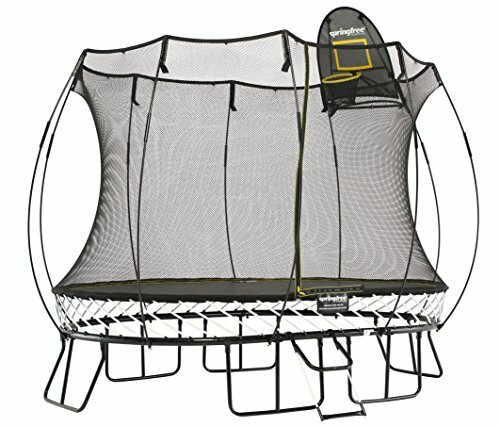 To sum up this trampoline has all the features that you would expect a childs trampoline to have. Due to it been a Plum trampoline you can be certain it is among the best money can buy. With so many brands and different types of trampolines on offer its no surprise that people struggle to buy the best trampoline Australia has to offer. 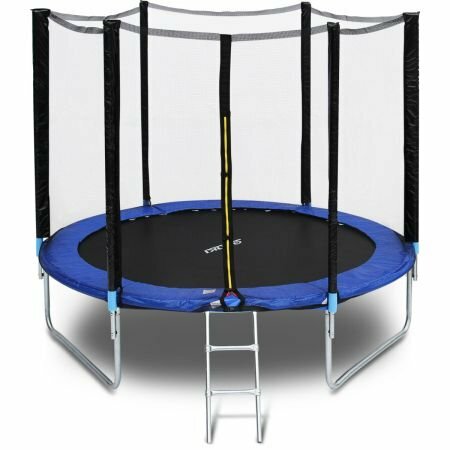 Hopefully with the information contained in our buyers guide and reviews you managed to find the perfect trampoline for your little ones. 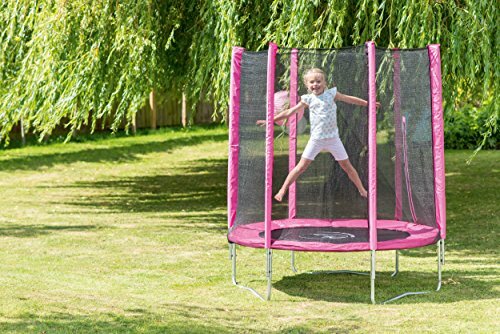 If you think there is anything that we have missed out of our buyers guide or a trampoline we should have included in our reviews then please drop us a message in the comments section.